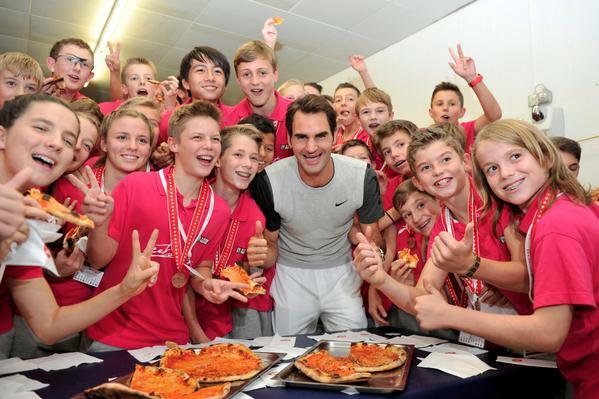 Roger Federer like he does every year, gave a pizza party to ball boys and girls after the final match of Basel where he defeated David Goffin for a straight set win. 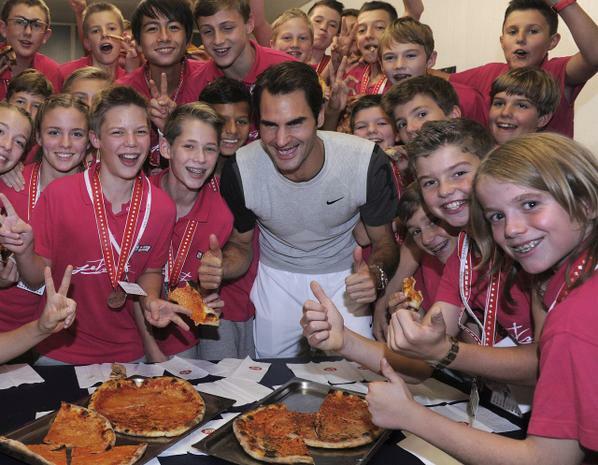 For more pics of Roger Federer's Pizza Party with Basel Ball Kids from 2013, click here. 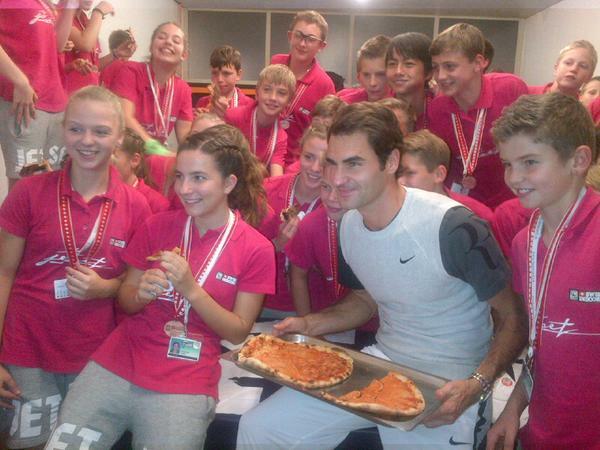 For more pics of Roger Federer's Pizza Party with Basel Ball Kids from 2012, click here. Somebody please post a rankings scenario. Damn its so confusing. Will the points Federer gains in the Davis Cup final count to the year end number 1 this year. Will the points Djokovic gained in last years final count for this year ?? Yes Nole has to defend 2500 points because he won both Bersey and the WTF. Roger has I believe 700 points to defend. So Nole will be under pressure to defend the points by winning both tournaments. He can't gain any more points but can lose points. And yes Davis Cup points also count. Only look at year-to-date points (as Year End #1 is based on this only). As of the end of Basel, Federer trails Djokovic by 490 points. From now until the end of WTF, as long as Federer makes at least 491 points MORE than Djokovic, then Fed is Year End #1. From what I understand, points from 2014 Davis Cup finals only counts in 2015 (did Djokovic play Davis cup finals last year?). I did reply to the above post yesterday but somehow it's gone AWOL so here goes again. Czech Republic beat Serbia in last years DC Final 3/2. However, Djokovic who did play won his 2 singles matches and therefore those 2013 DC Final points goes towards his 2014 YTD points. However should Roger win his singles at this years 2014 DC Final those points are not counted until 2015 YTD points...that is my understanding. 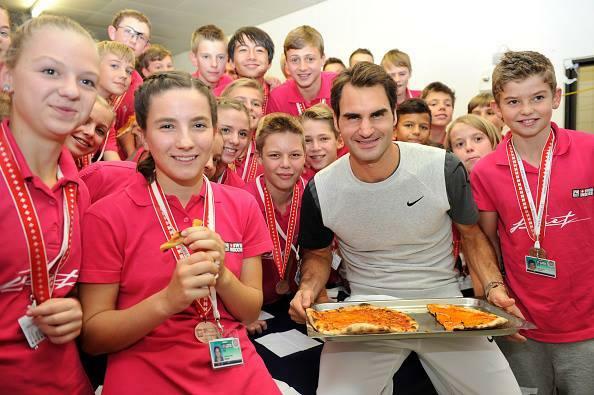 Thank you very much Admin Team for these delightful and fun pics of Roger at the ballkids' pizza party and Fiona the video of young Roger as a ball kid himself...what a way he has come since those days! 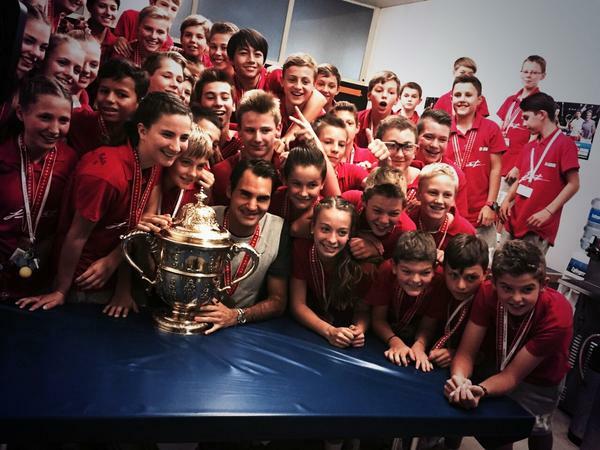 Roger is a true champ and an inspiration to all on and off the court. The champion of champions! 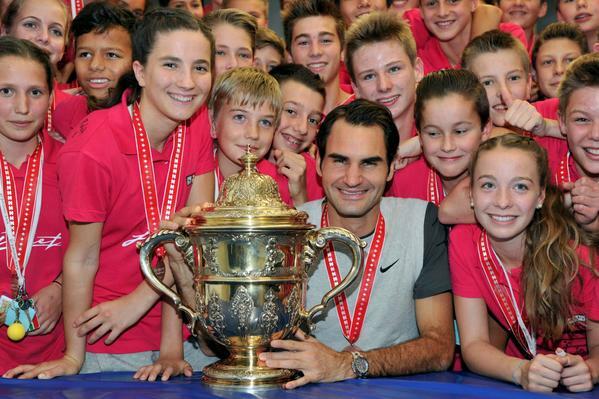 Good luck to Roger at Bercy and may the great man return to #1. Wow, wouldn't that be something! Hey Paddy, thanks a ton for your appreciation. I had explained about the Davis Cup finals points last year in a detailed post. Please read it right here.